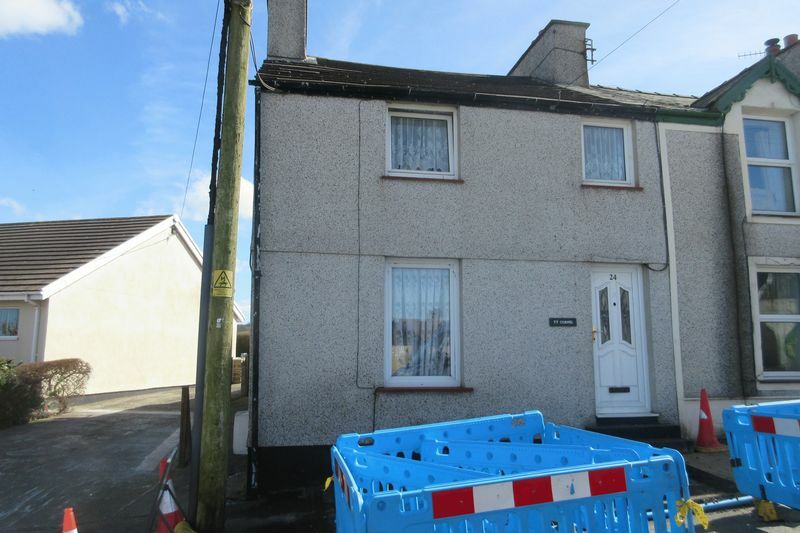 Generous 3 Bed Terrace House located between Amlwch & Amlwch Port, close to the Harbour. Briefly comprising:- Hall, Lounge, rear Good Sized modern Kitchen/Diner. Rear Hall with Cloakroom/W.c. First floor with landing, 3 Bedrooms, modern Bathroom. Rear Garden with Shed. Replacement uPVC windows throughout. Mains Gas C/H; No On-going Chain. 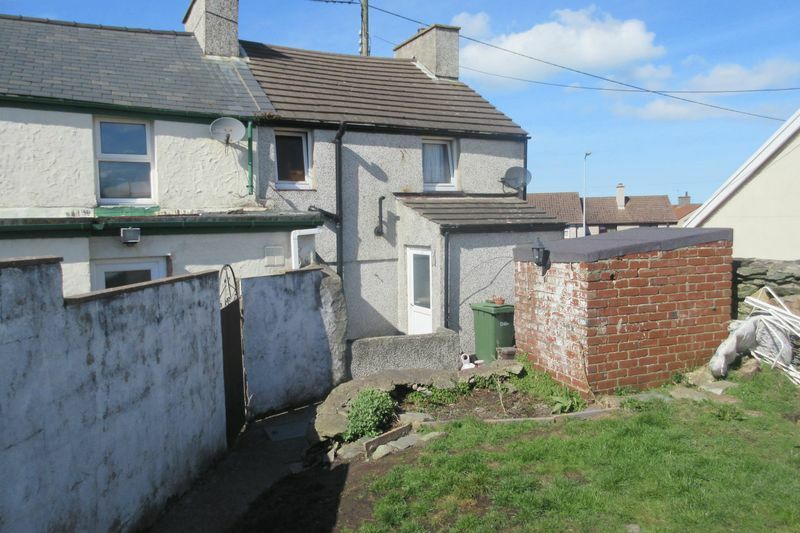 Ideal for First Time Buyer, Retired Couple or Investment Buy-to-Let potential. From the Agents' Office, turn left on to the A5025 and after the pedestrian crossing, turn right and immediately left again. Continue up and over the hill, down over the disused railway line and take the 2nd turning on the right. The property is the first on the left hand side. Radiator; Wall mounted Electric Meter Cupboard; Stairs to First Floor. Single drainer stainless steel sink unit and base cupboard; Double base cupboard; 2 Single base Cupboards; 2 Double wall cupboards; Marble effect working surfaces and ceramic tiled surround; Built-in Electric Oven & Hob; Plumbing for automatic washing machine; uPVC window; Built -in shelved pantry; Wall mounted Gas Central Heating Boiler. 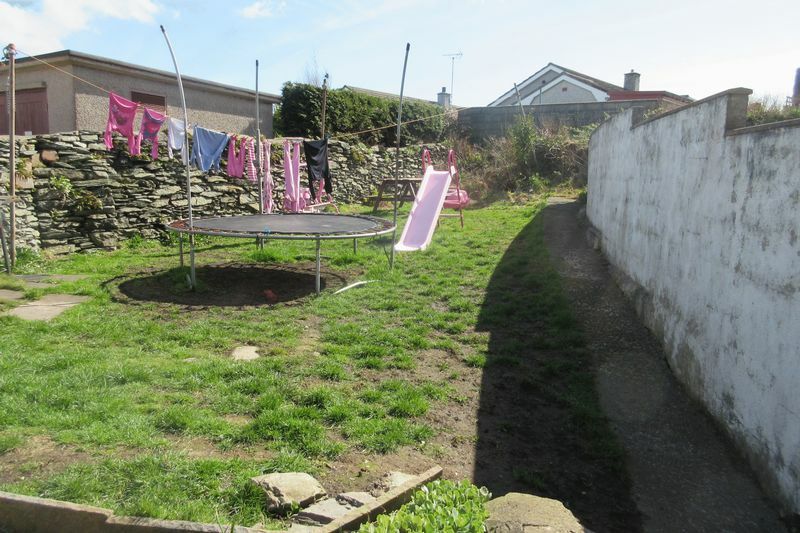 Side access leads to the garden and right of way to No. 22 machine Street; Paved courtyard area; Cold water tap; Brick built storage shed; Good sized garden area. We understand to be Freehold but confirmation should be obtained via your solicitor prior to purchase.